Fancy exploring distant galaxies without leaving Earth? 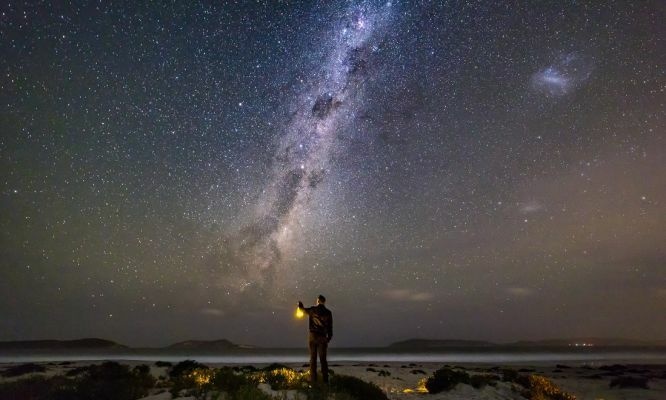 A patch of dark night sky a few hours north of Perth is the perfect place to gaze skyward. 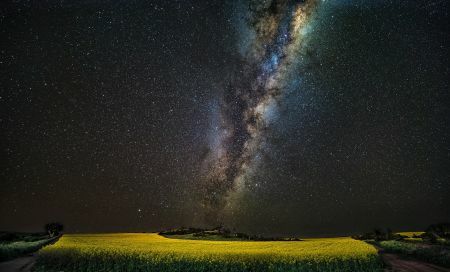 The Mills Point Lookout, east of Geraldton, is a recognised astronomical dark sky site on the Australian Dark Sky Register. 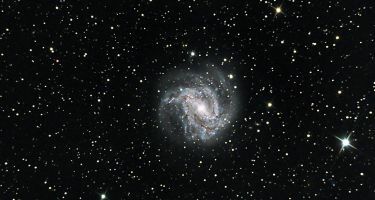 Dark sky sites are areas away from light pollution where stargazers can ponder the planets and marvel at meteor showers. 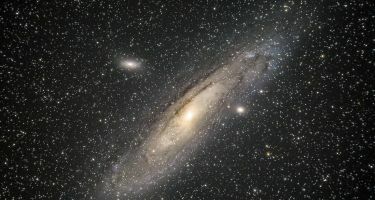 The Geraldton Astronomy Group share the wonders of the universe with the public. President Ken Lawson founded the not-for-profit group when he moved to Geraldton 14 years ago. Ken says his dad encouraged his interest in astronomy from a young age. “We used to stand outside and look at the stars,” he says. 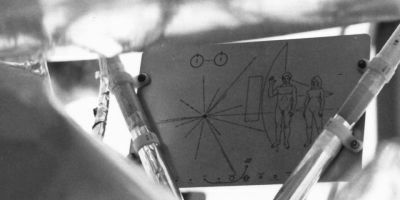 Life and work got in the way of Ken’s curiosity about the cosmos, but the stars aligned when he moved to the Mid West. “When I moved up to Geraldton, I thought I would buy myself a nice telescope, and 10 telescopes later, I’m still going,” he laughs. 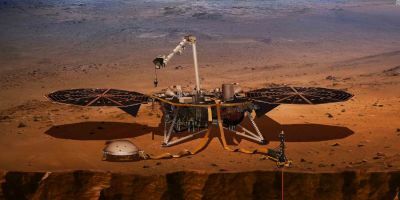 The group meets in Geraldton on the last Wednesday of each month to share their ‘astro knowledge’. They are always looking for new members and everyone is welcome—no experience or equipment is necessary. The small team of amateur astronomers organise trips to view celestial events. 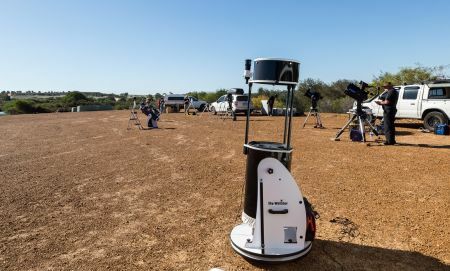 The group hoped to be part of a national attempt to set a Guinness World Record for most people stargazing across multiple sites in a country in August 2015. Unfortunately, they were rained out, but the Australian National University successfully set a record for 7,960 stargazers at 37 locations. Ken says novice stargazers’ reactions to seeing parts of our Solar System for the first time range from disbelief to delight. “People’s reactions, questions, inspiration and appreciation from looking up at the night sky … makes it all worthwhile for me,” he says. Ken is enthusiastic about science being accessible to all. He volunteers with Scinapse, a science advocacy network in the Mid West. “The more science can be shared and promoted, the better,” Ken says. Ken’s most memorable astronomy moments include fireball meteors, observing all the planets in our Solar System in one night and taking his first astro photograph. 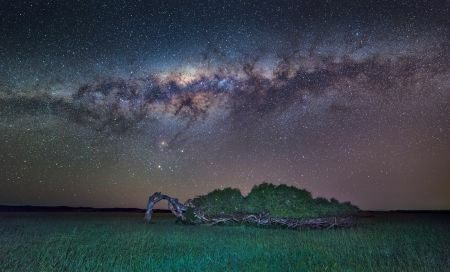 In April, his striking space snaps caught the eye of physicist Professor Brian Cox, who featured two of Ken’s photos on the ABC’s Stargazing Live. Seeing his images broadcast to millions of viewers was a “pretty awesome” experience, Ken says. Some of his astrophotography will go on show at the Museum of Geraldton in August and September during Astronomy WA’s annual Astrofest Astrophotography Exhibition. The exhibition is part of Geraldton’s Goodness Festival held during National Science Week, sponsored by Scitech.